Our price:£ 18.80/pcs. tax incl. ESD Drain Wire: Both TOUGHCable models have an integrated ESD Drain wire to prevent ESD attacks & damage. Multi-Layered Shielding: Multi-layered design enables TOUGHCables to withstand harsh weather and heavy use. Rapid field deployment without soldering. TOUGHCable ESD Drain Wire connected to TOUGHCable Connectors prevent ESD attacks & damage. 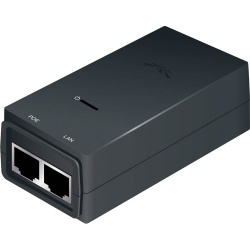 Ubiquiti RJ45 TOUGHCable Connector with Ground Wire for Ubiquiti TOUGHCable, industrial-grade shielded ethernet cable with solder less earthing point as standard for use with the built earth cable with Ubiquiti TOUGHCable PRO & CARRIER along with external grounding cable.